The Sydney City Centre Access Strategy was prepared in 2013 as a key action of the NSW Long Term Transport Master Plan. It is a 20 year plan showing how people will access and move in and around the CBD. 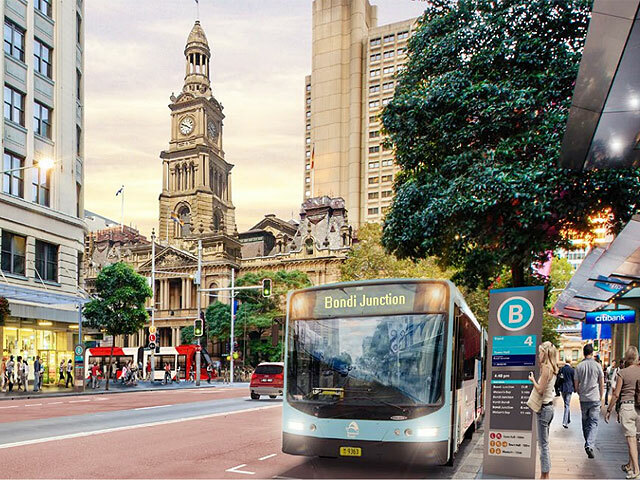 It provides directions on how Sydney’s light rail, buses, trains, ferries, cars, taxis, pedestrians and cyclists will work together and interact in the Sydney CBD, with the aim of reducing congestion, providing for future growth and improving the customer experience. Mecone was appointed as the Program Director for the initial stages of the study and worked with a large team of specialist consultants that also included a high level steering committee made up of DDGs and GMs of Transport for NSW. Liaison with key stakeholders and agencies.